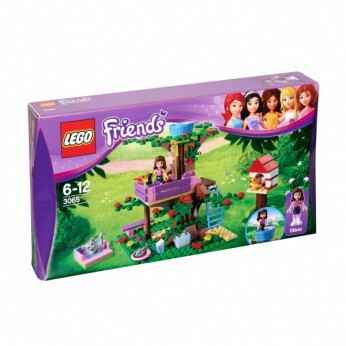 Take the LEGO Friends fun to the tree tops with Olivias Tree House! All of the friends love meeting in this treetop retreat to play games and camp out under the stars! Climb the folding ladders to watch the ladybirds, catch butterflies and feed the cat. Watch the ocean waves or wish on stars through the telescope! Stash secret treasures in the hidden compartment and decorate the whole fort with wildflowers! This toy costs approximately £14.49 (for the latest and best prices make sure you check our retailer list for the LEGO Friends Olivias Tree House 3065 above). In our review of LEGO Friends Olivias Tree House 3065 we classed it as being suitable for ages 6 years, 7 years, 8 years but recommend you check the manufacturer specific advice before purchasing.